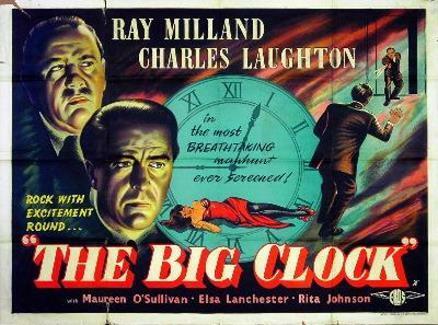 Excellent noir thriller in which crime-journalist Milland, innocently involved with a girl subsequently murdered by his megalomaniac boss Laughton, is then commissioned by Laughton to find the culprit. 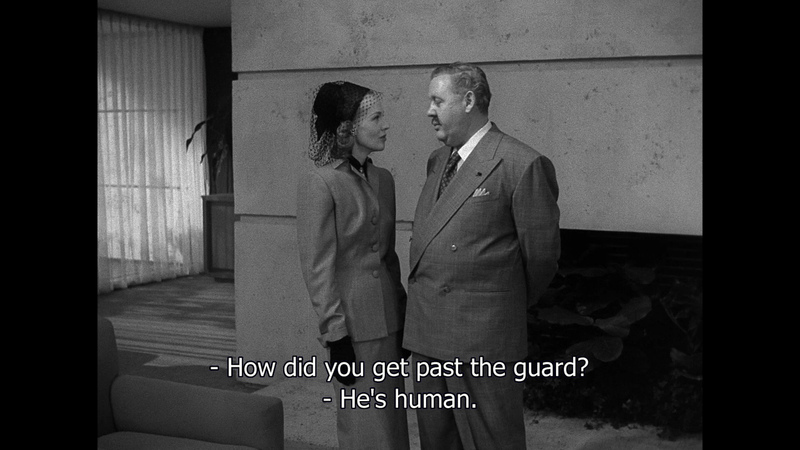 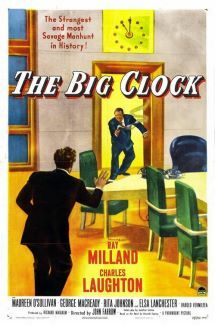 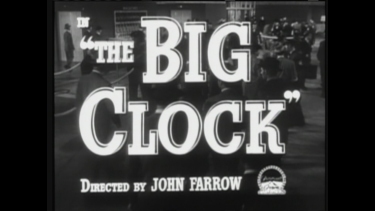 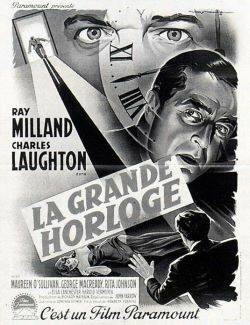 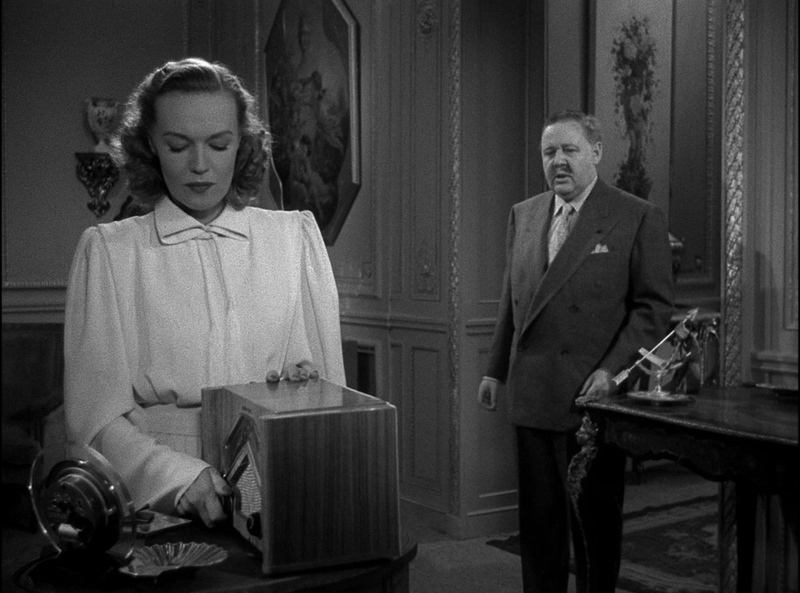 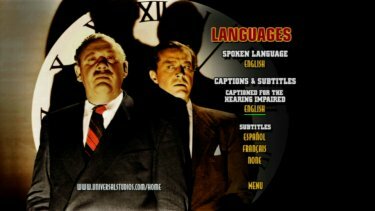 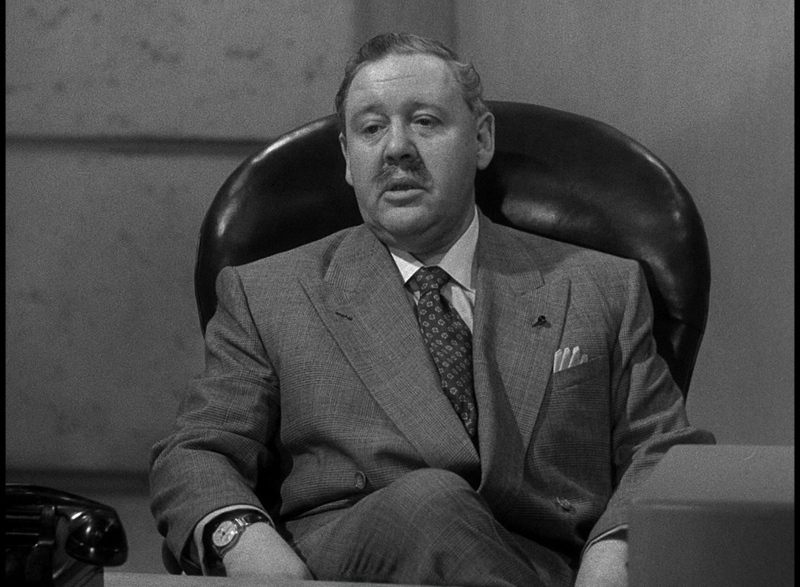 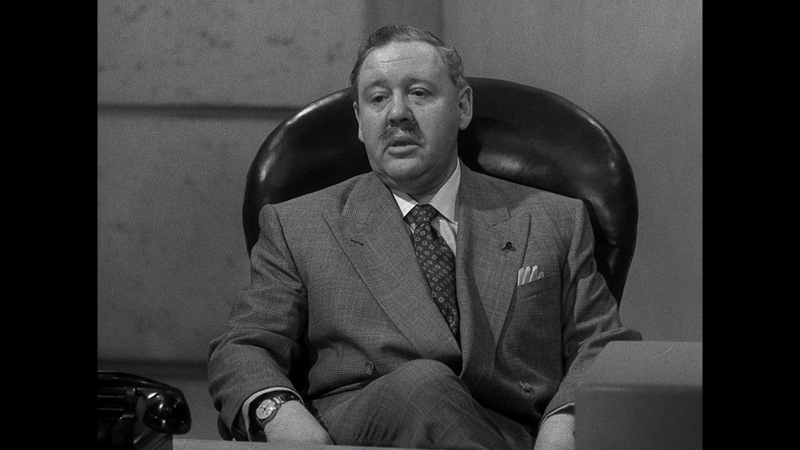 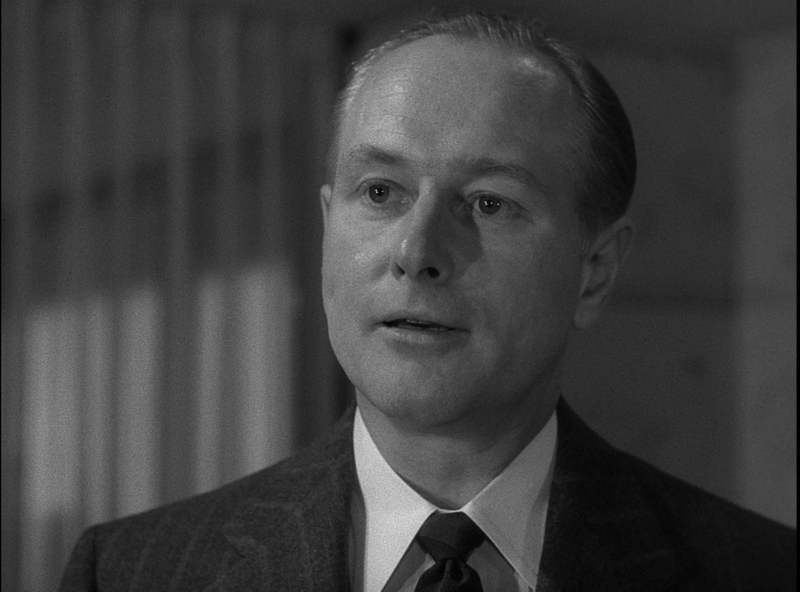 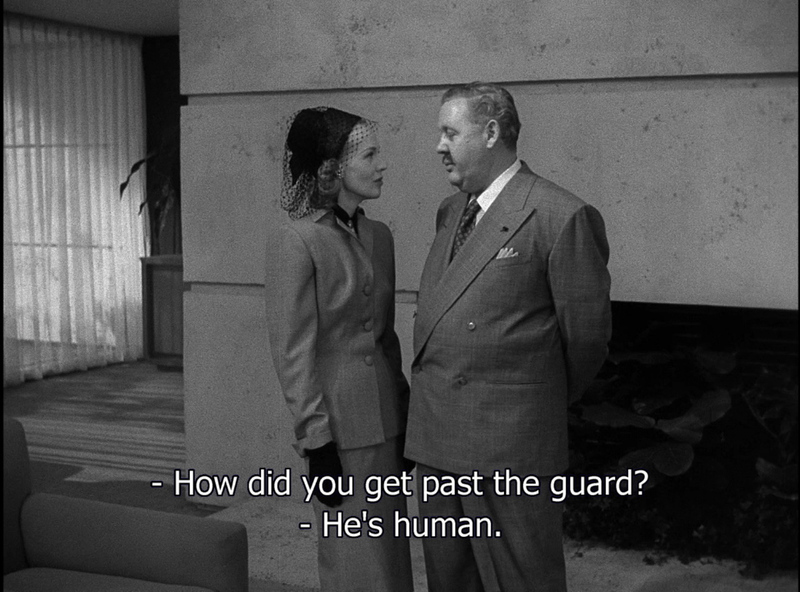 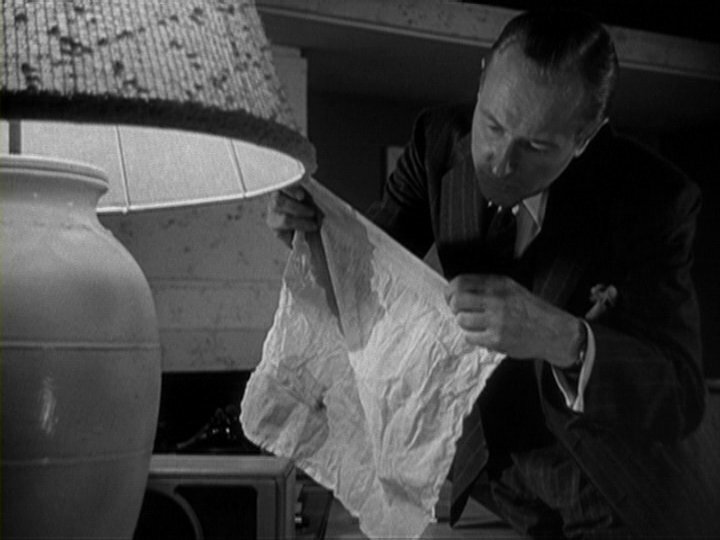 When he himself becomes the framed suspect, the trap seems closed... With strong performances (especially Laughton as the gross, sexually insecure tycoon, confident in his ability to control the law through his wealth and status), the film also delights through Farrow's evocative direction: the newspaper conglomerate's enormous clock indicating not only the race against time but also the inhumanly inflexible world in which the action takes place; the phallic ornament with which the impotent murderer kills his mocking mistress; and John Seitz's marvellous high contrast photography, portraying a world of isolation in which nothing is as it seems. 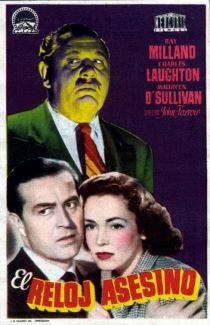 The source novel by Kenneth Fearing was remade, much altered, as No Way Out (1986). 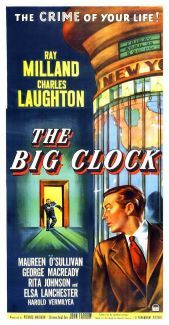 ADDITION: Koch Media - Region 'B' - Blu-ray May 16': Koch packaged three notable Noirs - "Ministry of Fear", "The Big Clock" and "The Dark Mirror" in one boxset. 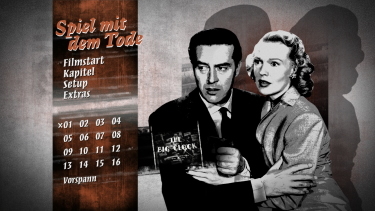 I'd been waiting for them to be individually released, but it's been 2 years and I relented and bought the entire set - I'm sure I will eventually compare Ministry of Fear and The Dark Mirror to the existing Blu-ray releases. These are single-layered transfers with supportive bitrates - unlike the recent The Glass Key from Koch - which is stellar with a max'ed out bitrate. 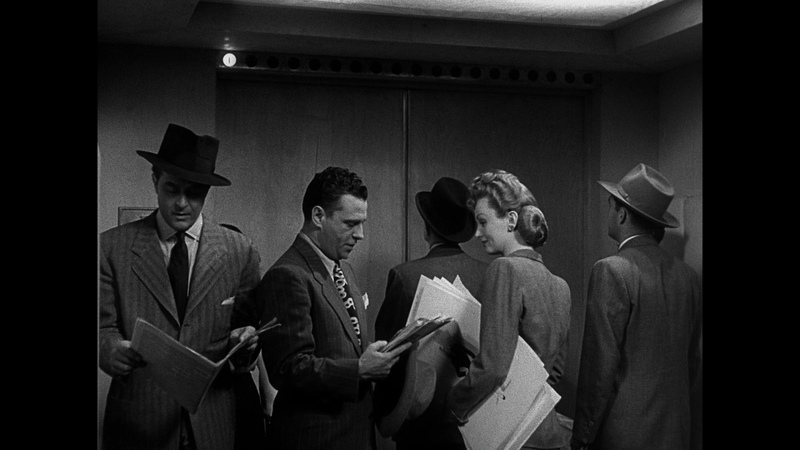 I see a bit of edge-enhancement here but it is still an advance beyond the 2004 SD showing some nice grain texture. 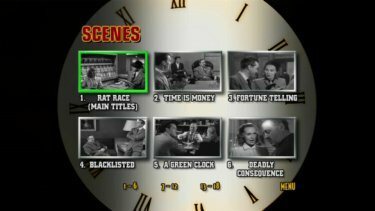 The 1080P augments the contrast to some pleasing layers - and it's a consistent 'in-motion' presentation with only one slightly questionable darker scene. 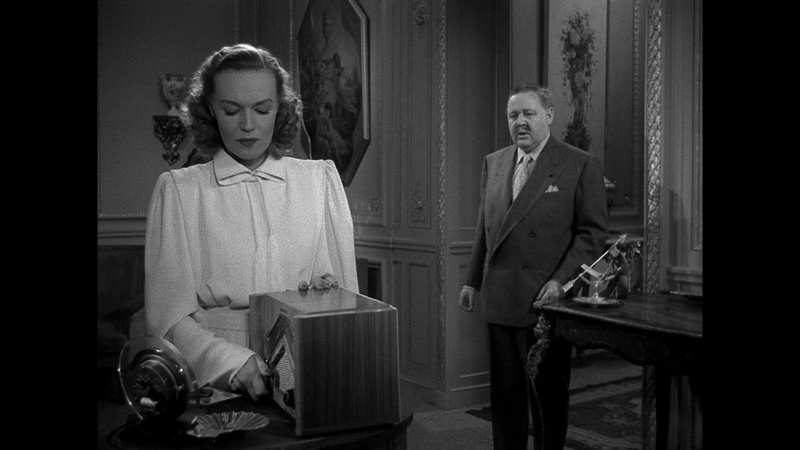 The audio is lossless via a DTS-HD Master 2.0 channel (16-bit) and it sounds reasonably tight. 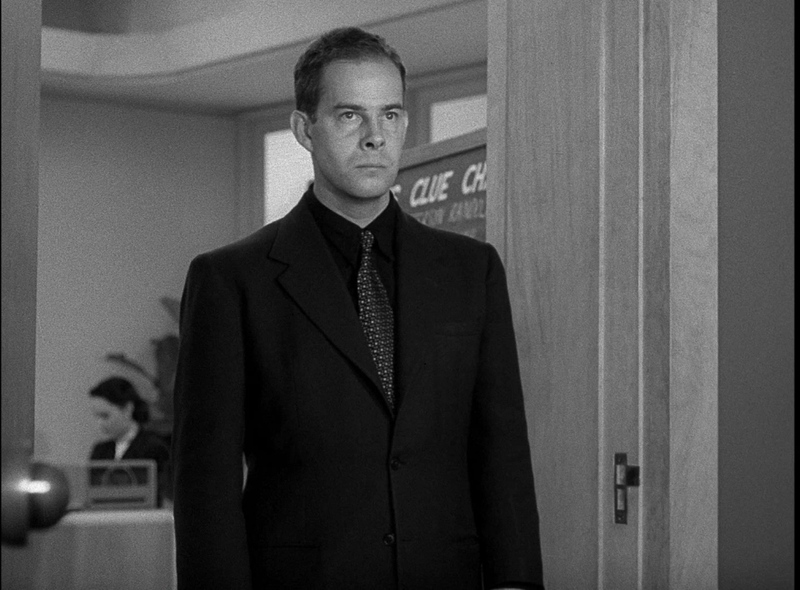 There are no demonstrative effects per-se but the score, composed by the great Victor Young (The File on Thelma Jordan, Three Faces West, The Sun Shines Bright, Johnny Guitar, China Gate etc. 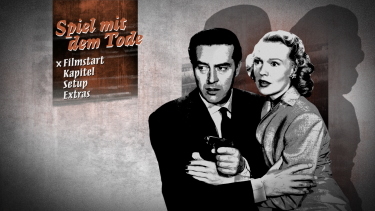 ), adds a some suspense atmosphere in the second half. 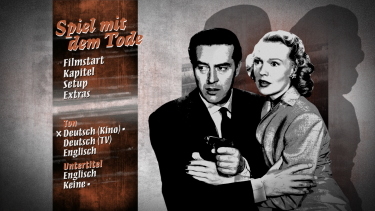 There are also two uncompressed German DUBs (described as Cinema or TV versions) and Koch add optional English subtitles (see sample below) on their region 'B'-locked Blu-ray. 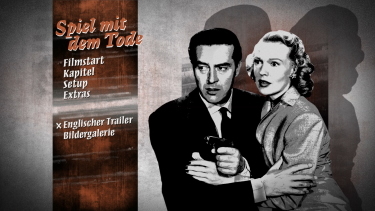 The only extras are an English trailer - in rougher shape - and a gallery of posters etc. 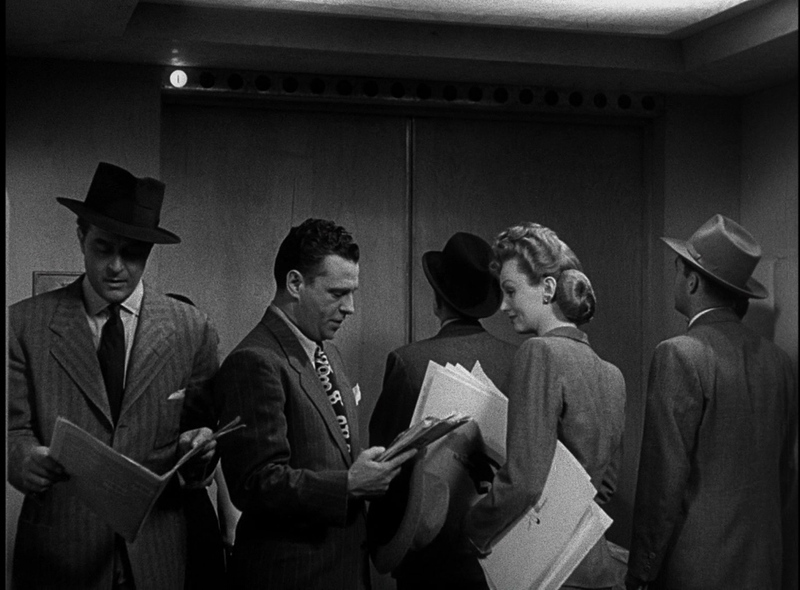 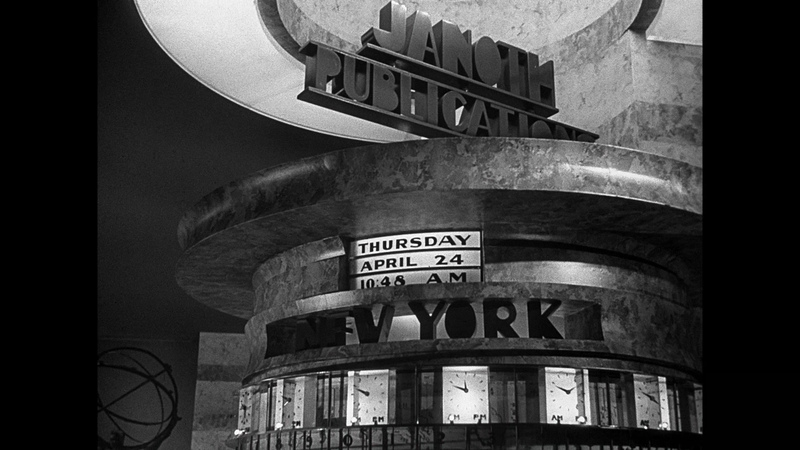 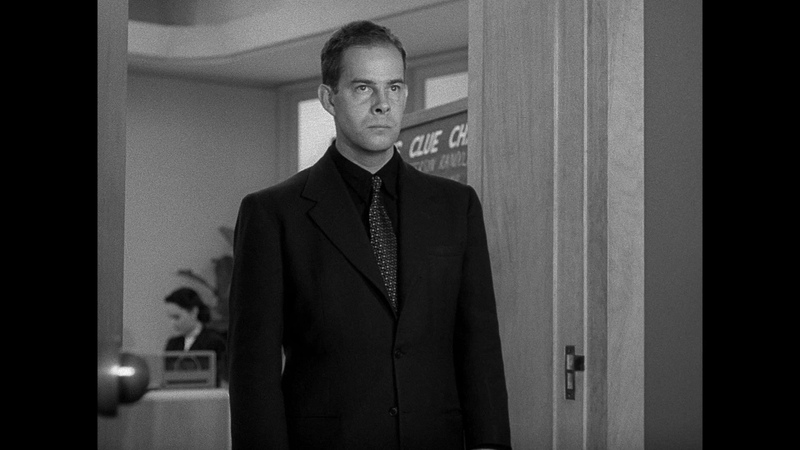 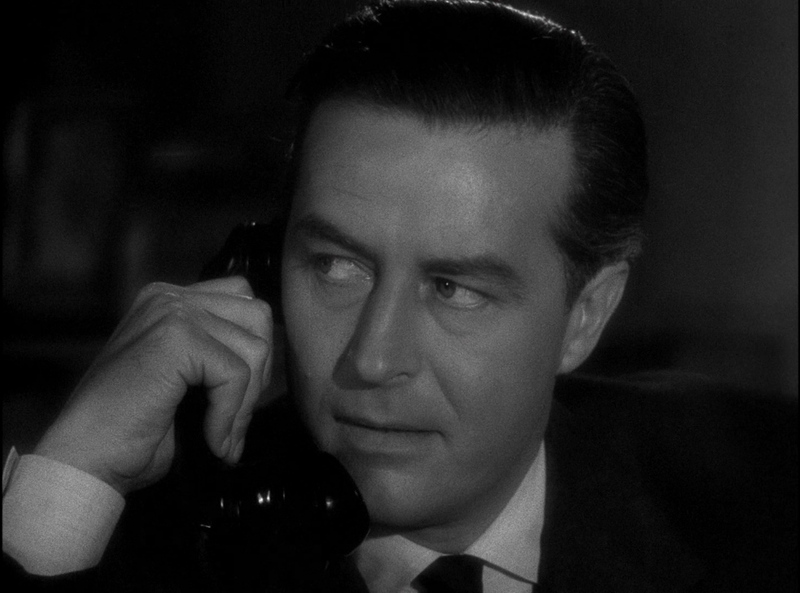 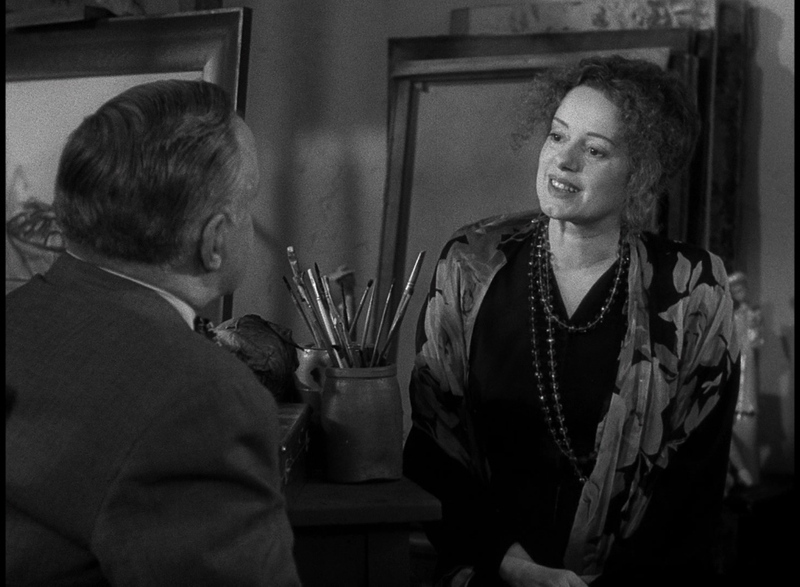 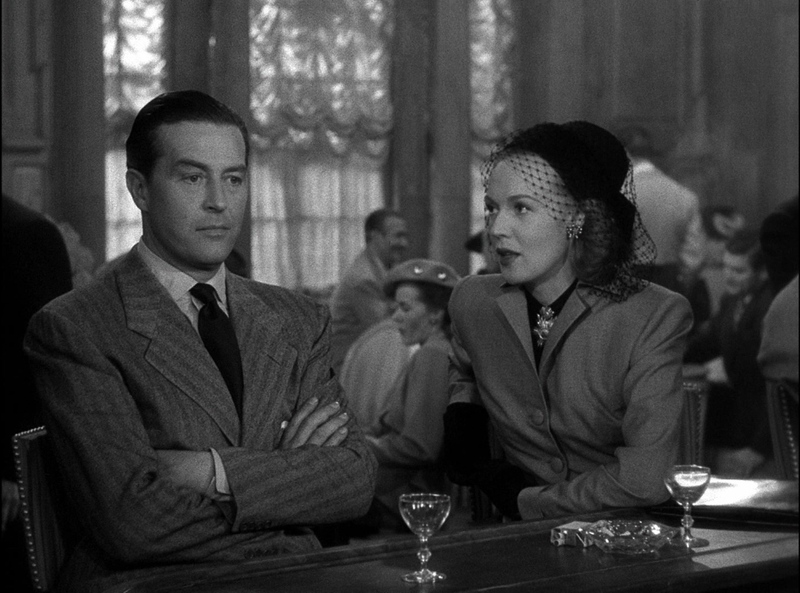 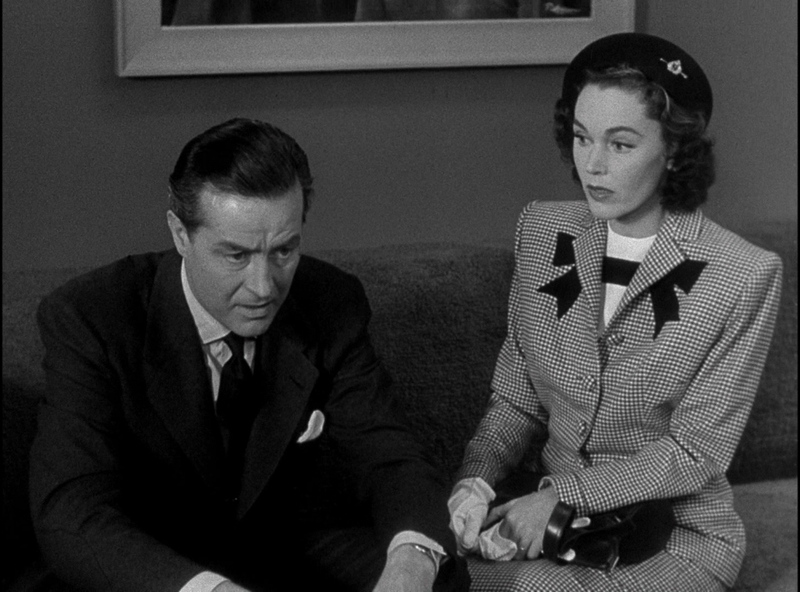 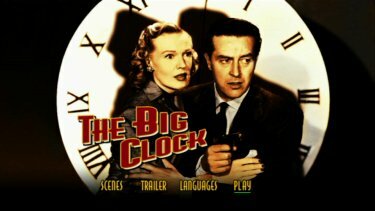 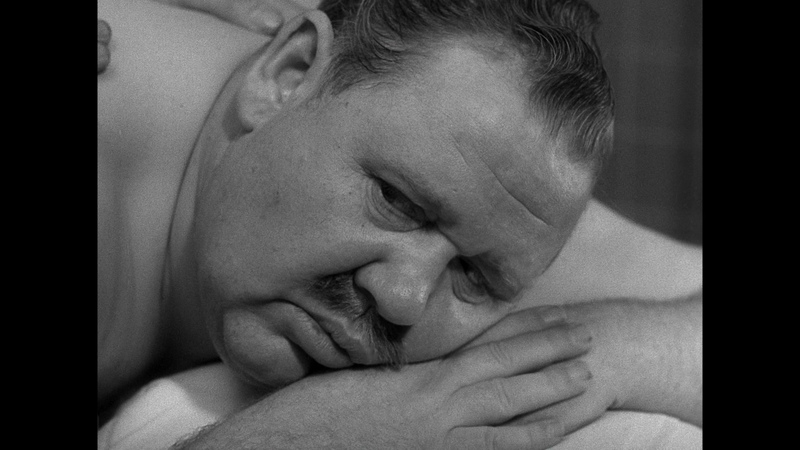 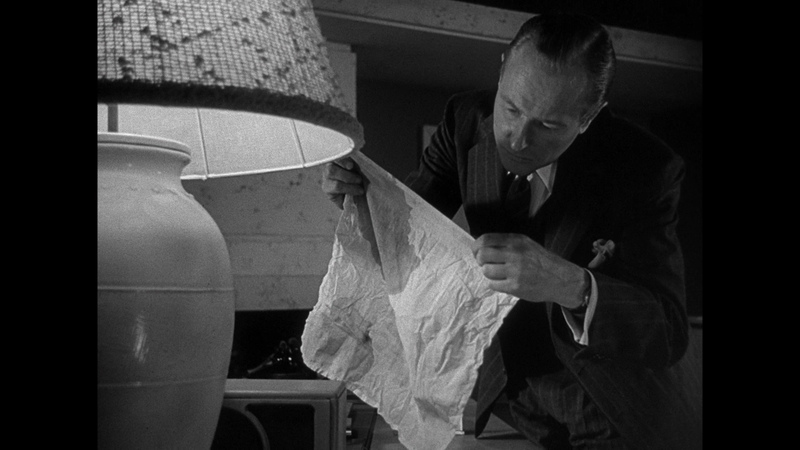 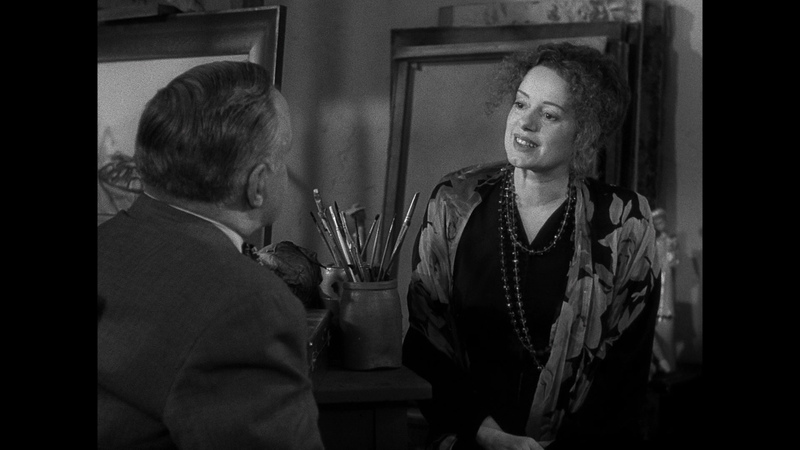 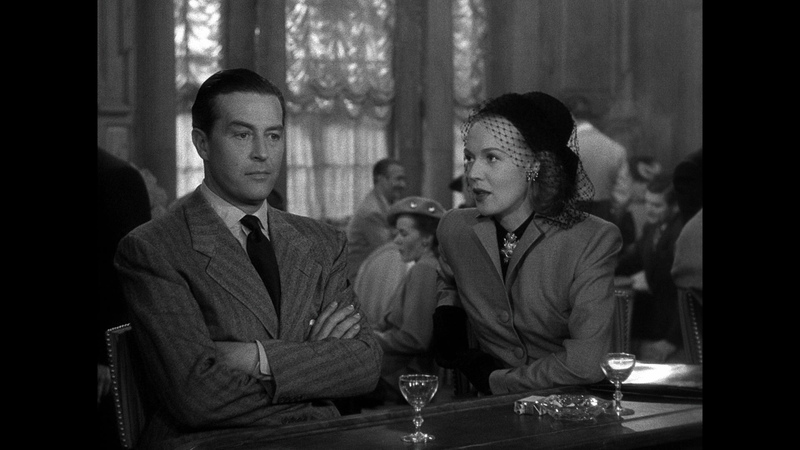 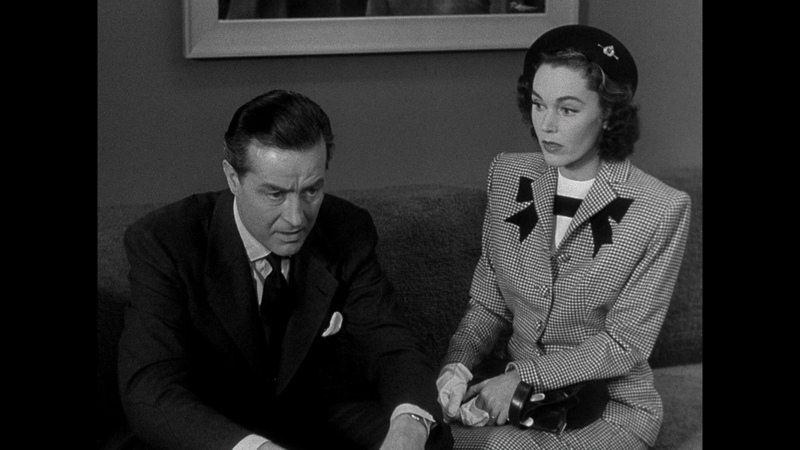 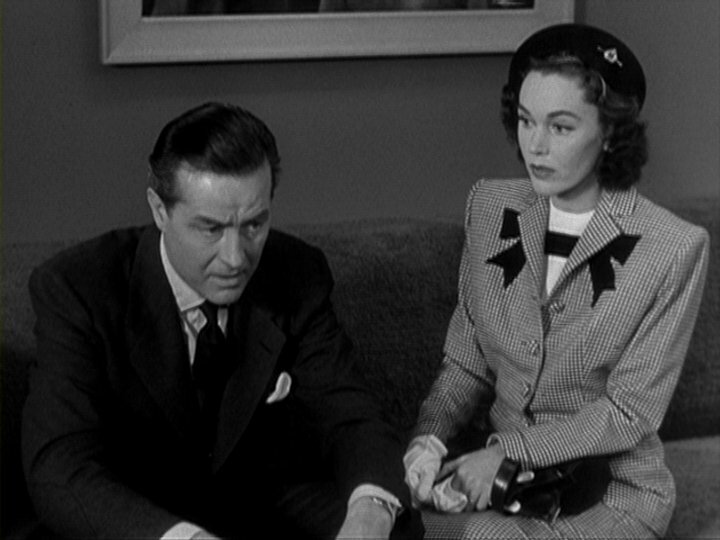 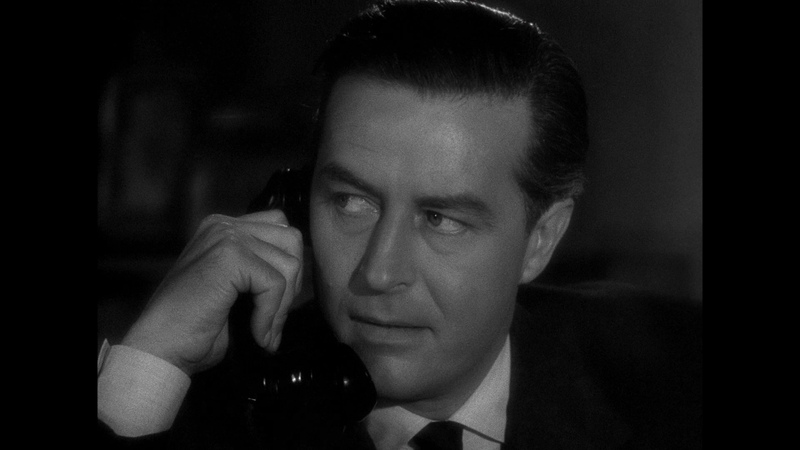 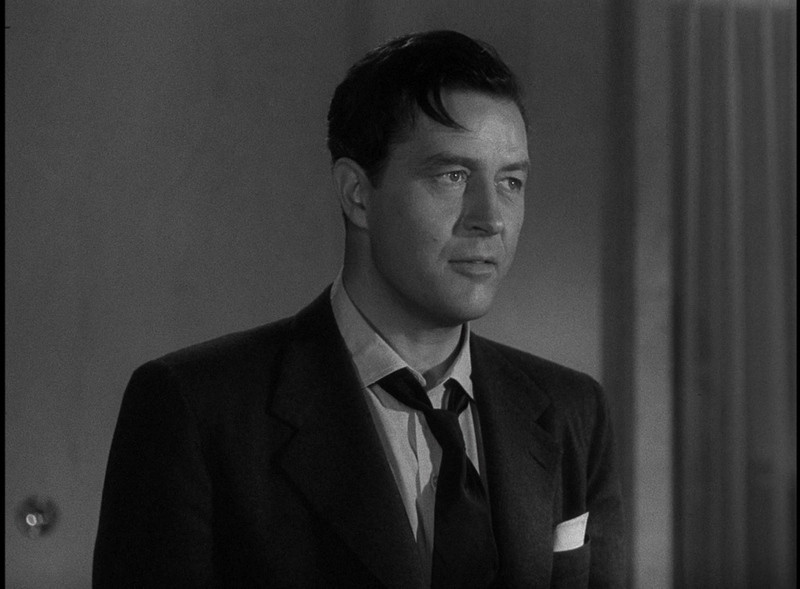 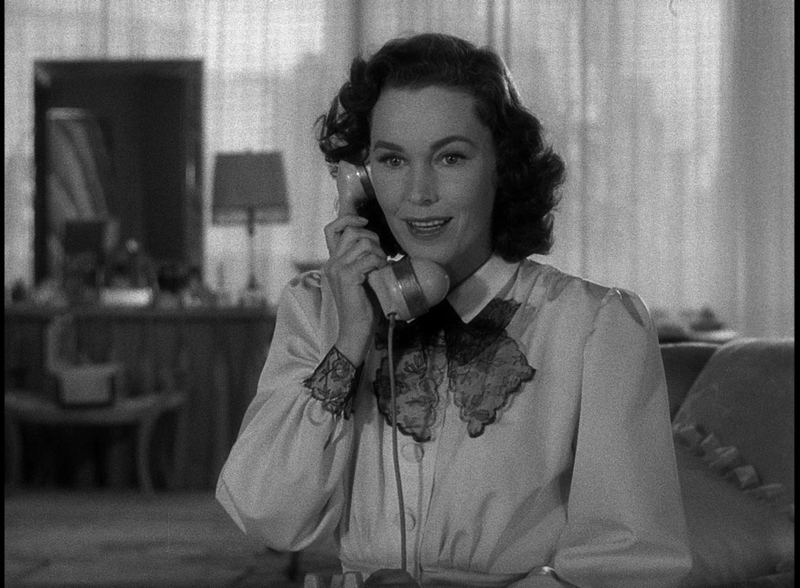 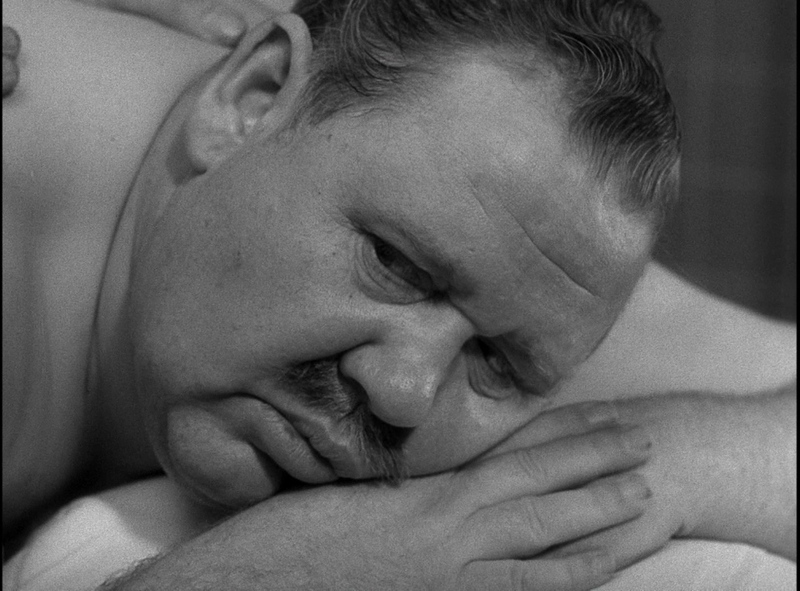 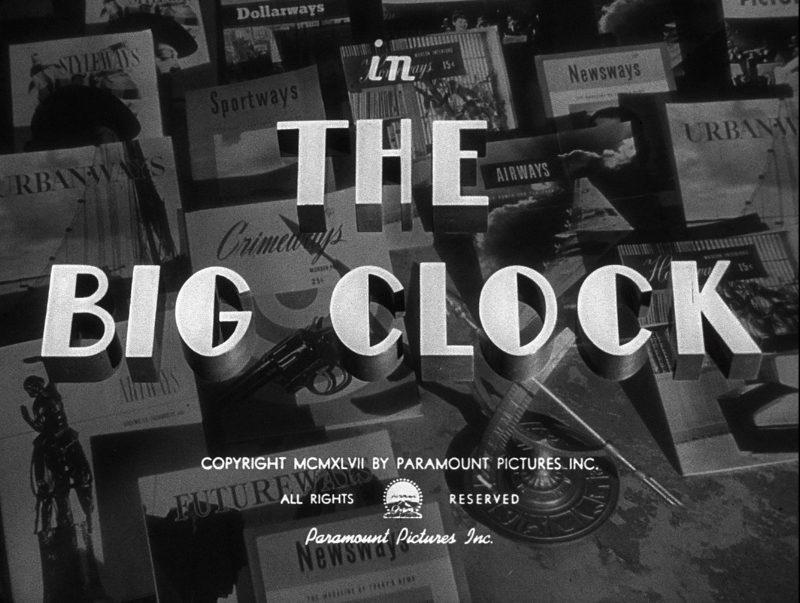 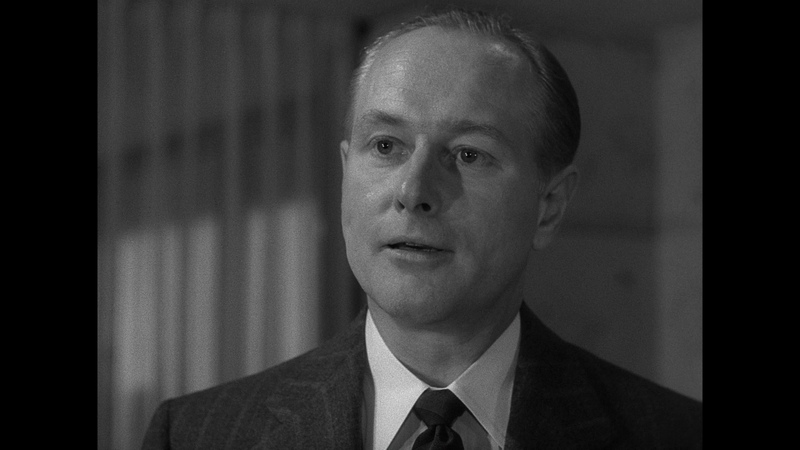 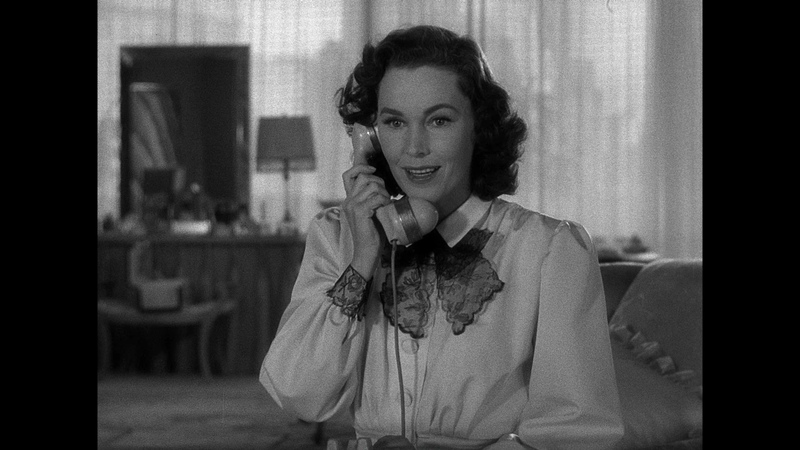 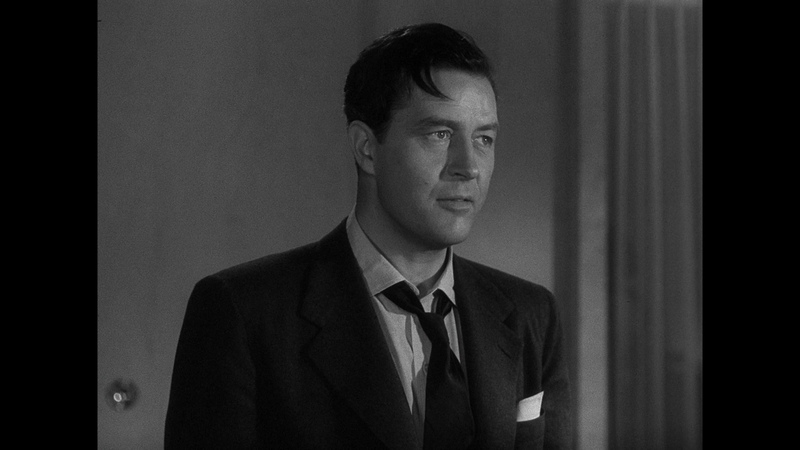 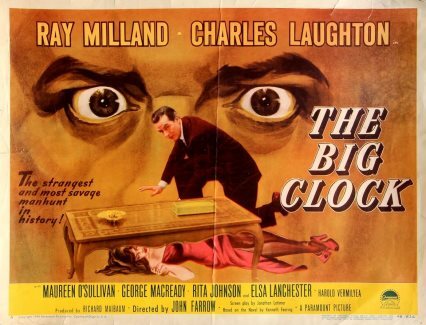 The Big Clock was never a favorite Noir but I did get into it much more in 1080P. 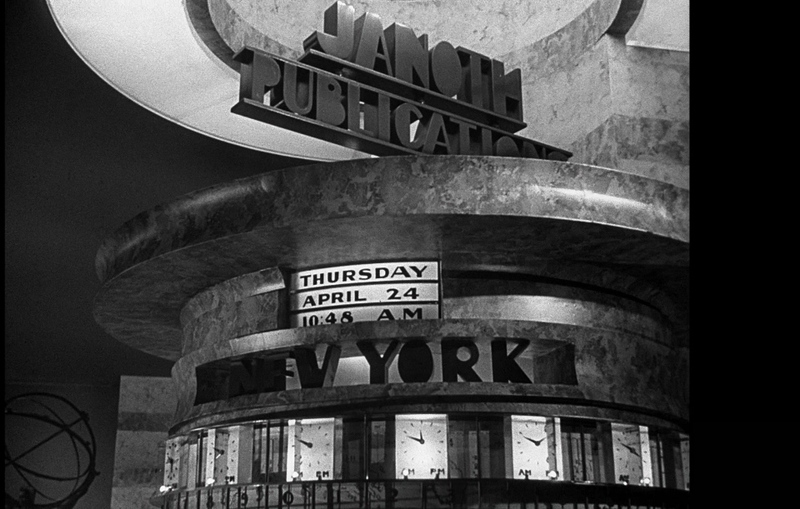 LOVE the Art Deco! 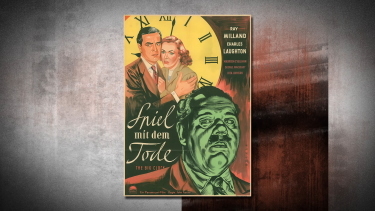 It looks like this package has decent value for the price. 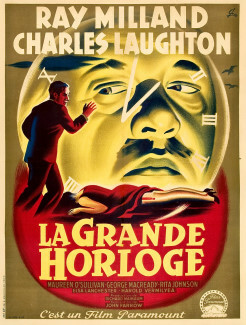 Recommended to the dark cinema aficionados. 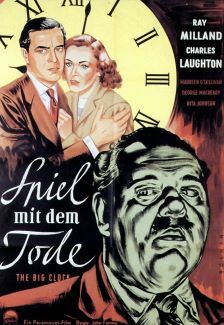 ON THE DVD: Certainly looks softer than the stellar Warner Region 1 Noir Boxset, but overall not too disappointing. 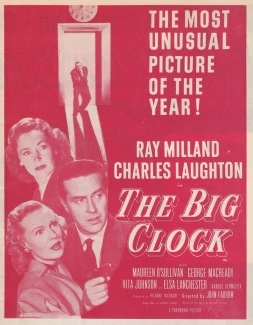 A great film, but alas, no extras at all. Relative haze, fair contrast. 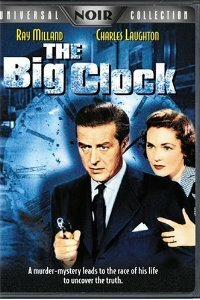 But the price is right for Noir fans wishing to indulge!